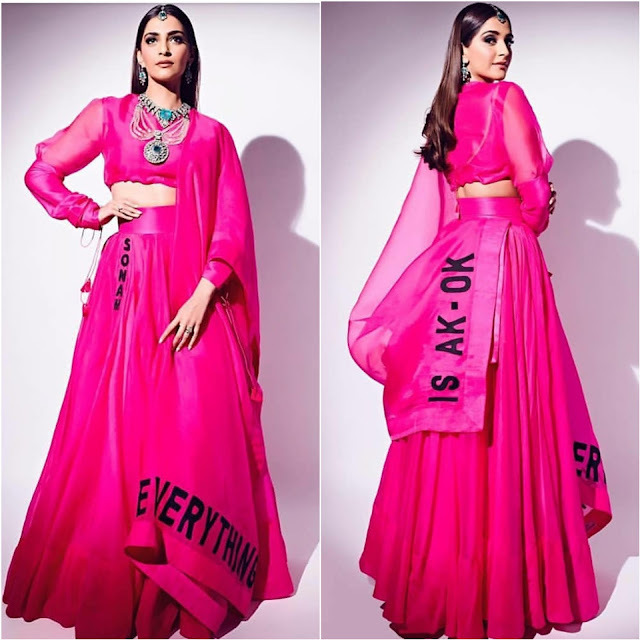 Sonam opted for a custom Anamika Khanna lehenga for attending the recently held Ambani-Piramal wedding. Sleek hair and silver jewellery rounded out the look for Ms. Kapoor. Nothing much to like here (especially that bold black lettering felt awkward) except the jewellery which was striking and different!